For example, scientists once thought that drinking a glass of warm milk before bed or eating a large meal of protein made us drowsy because of tryptophan loading – the current evidence does not support this explanation but the claim makes an important point: we must get enough of any particular nutrient into our brain in order for us to notice any effects. Unfortunately, tryptophan has difficulty getting into our brain, particularly when consumed within the context of a large variety of other amino acids, i.e. meat. So, what’s the scientific evidence for considering the cognitive effects of these foods? Mostly, it’s related to what happens when we do not get enough of them. For example, numerous studies have shown that consuming too little tryptophan makes us depressed and angry (Journal of Neural Transmission 2014;121:451-455); historians now blame low tryptophan diets for multiple wars and acts of cannibalism. Too little water-soluble vitamins (the B’s and C) in the diet will induce changes in brain function that we will begin to notice after a few weeks of deprivation. Many authors naively jump to the conclusion that giving high doses of such nutrients will rapidly improve our mood or thinking: sadly, this is rarely the case. Eggs. CC0 Public Domain via Pixabay. Can dietary supplements increase brain tryptophan levels and improve mood? The answer is no. 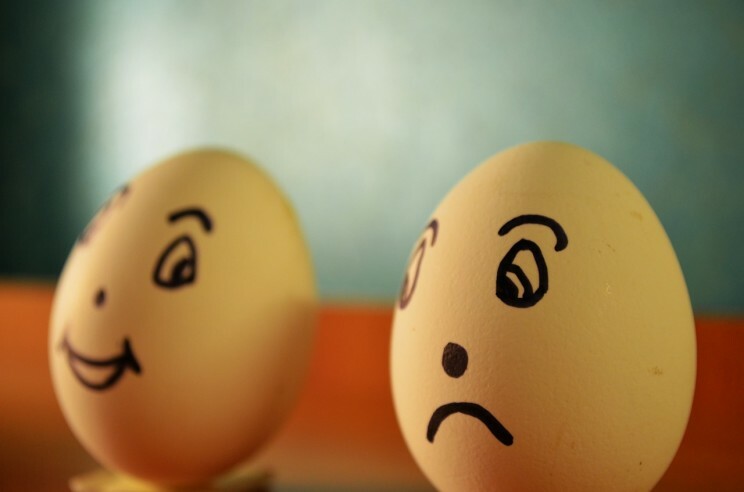 There is no evidence for improving mood through dietary manipulation of tryptophan primarily because it is difficult to change plasma tryptophan levels through diet alone. Tryptophan supplementation and depletion studies suggest that altering tryptophan levels may only affect certain groups of patients who already have a personal, or family history, of depression. Popular media articles often recommend diets and foods to increase blood tryptophan levels, suggesting that this will lead to increased activity and function of serotonergic neurons. Such recommendations, while superficially appealing, are misleading and not supported by any scientific evidence. If you eat less tryptophan, your brain produces less serotonin. Conversely, providing additional tryptophan in the diet may lead to increased production of serotonin within neurons, however, producing more serotonin does not guarantee that the neuron will actually release it. If too much serotonin is produced inside the brain, the excess is simply discarded. The depletion of tryptophan from the diet can negatively influence serotonin-controlled brain processes such as mood and sleep. A recent study published in the journal Neuropsychopharmacology (2014;39) investigated whether it was possible to deplete the brain’s reward chemical dopamine in humans, by restricting access to the amino acid tyrosine that is required for its synthesis by the brain. Within a few hours the subjects showed a blunted reaction by their brain’s dopamine centers in response to a monetary reward. Overall, their mood was also slightly depressed. Fortunately, the effects of this experimental diet were temporary because the subjects were young and the brain was able to compensate quickly. The overall lesson here is that if you’re feeling down, it might be your diet. However, do not expect your diet to make you feel happy; most often, a good diet will only prevent you from feeling depressed. Gary L. Wenk, Ph.D. is a Professor of Psychology & Neuroscience & Molecular Virology, Immunology and Medical Genetics at the Ohio State University and Medical Center, and a Fellow by the American Association for the Advancement of Science for distinguished contributions in the field of neuropharmacology, neurodegenerative diseases and neuroinflammatory processes. 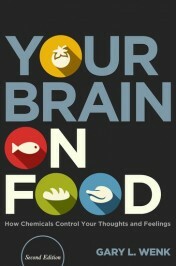 He is the author of Your Brain on Food, Second Edition (Oxford University Press). A summary of these findings can also be viewed in Gary L. Wenk's TED Talk. A version of this article appeared on Psychology Today. Yeah I also read somewhere that Omega 3 fat acid are also effective in depression causes, our diet plays a very vital role in over all behavior.